Believe it or not, Telford is full of history and culture. 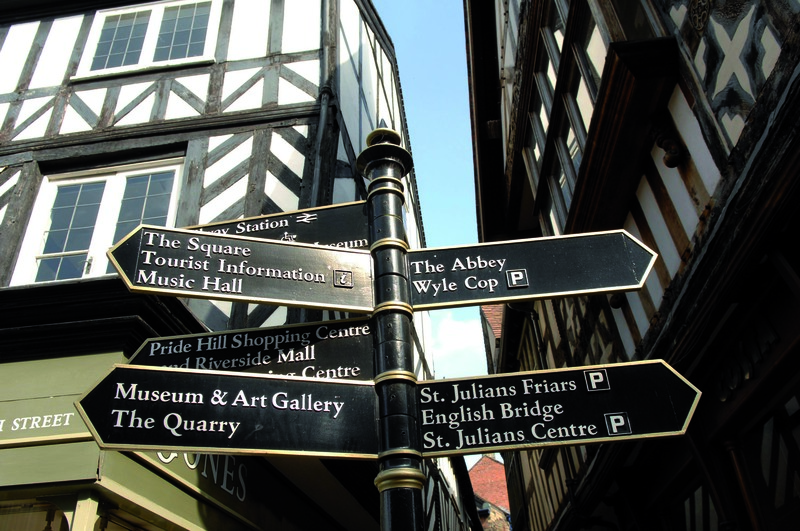 For any history fanatic, hoping to explore the famous World Heritage site, or connoisseur of stately homes wanting to explore the hidden nooks and crannies, Telford has plenty to offer. Here are our Top Ten suggestions of historical sites in Telford…and they’re no more than a 20 minute drive away! Benthall Hall is one of Shropshire’s historical gems. Located close to the small town of Broseley, just a few miles from the famous Ironbridge, this quaint 16th century country house is filled with fascinating history, pleasant rural views, and even a 19th-century terraced garden. This Cistercian Abbey is situated just outside Ironbridge and attracts visitors from all over Britain every year. With its unaltered 12th century church and extraordinary chapter house, this abbey provides enjoyable scenic views and interesting rural history- perfect for a summer’s day out. Founded in 1148, Lilleshall Abbey is one of Telford’s most popular historical sites, and as it’s only 10 minutes from the town centre, it’s right on your doorstep. As the abbey was severely damaged during the Civil War, it holds great historical value. Much of the abbey survived and can now be admired for its unique structure. Shrewsbury Castle is not only one of Shrewsbury’s most admired structures, but it is also home to the vast collections of the Shropshire Regimental Museum Trust, including artefacts from 18th Century to the present day. With spectacular views of the River Severn and with Shrewsbury town centre nearby, this site has plenty to offer. Shrewsbury Abbey, also known as Church of Saint Peter and Saint Paul, was founded in 1083 and became one of the most influential abbeys in England. Located in the town centre, the abbey is a major landmark in Shrewsbury and is the home of the fictional character Cadfael. Just a few steps from the famous Ironbridge are the beautiful Darby Houses, previously owned by the Darby family. They include the Rosehill House, built in 1738 and Dale House built in 1717. These homes enable you to experience an Industrialist’s life, whilst admiring family memorabilia, letters and costumes. Another site just around the corner from Ironbridge is the famous Jackfield Tile Museum. Jackfield was at the heart of tile production back in the Victorian era. Here, you can explore the best examples at a recreated pub, tube station, and even a church. Go back in time as you admire the famous storytelling panels and gallery, all dedicated to British tiles. Wenlock Priory is one of Shropshire’s most famous English Heritage sites. Located in Much Wenlock, home of the modern day Olympic Games and just 20 minutes from Telford Town Centre, stands the ruins of the famous 12th century Anglo-Saxon monastery. Whether you fancy exploring the Cloister Garden or the Norman Chapter House, Wenlock Priory is a favourite for any history fan. Hidden away in the town of Wellington is the well-treasured home of Sunnycroft, which tells the story of a brewer, a widow and three generations of the Lander family. Immerse yourself in this Edwardian home, decorated with original wallpapers and Maw’s tiles and it is even filled with everyday belongings of past family members. Just a few miles from the town of Shrewsbury is the extraordinary remains of an Augustinian abbey, including the surviving chapter house with 12th and 14th century carving and statues. Enjoy the vast exhibitions of archaeological finds, with a picnic area and light refreshments.